Outside of architecture, my favorite hobbies are travel and photography. Much of the time I spend on the internet is spent looking for inspiration at map sites (google maps/earth, wikimapia, bluemarble, etc.) and photography sites (flickr, 500px, KelbyOne, etc.). I would say that I enjoy travel/landscape photography the most and it’s probably no surprise that Ansel Adams is my favorite black & white photographer while Galen Rowell is my favorite color photographer. Adams and Rowell both excelled at composing effective and memorable images within the frames of their cameras. However, my favorite photographer in this regard is Art Wolfe. Art’s images are so well composed (and processed) that they often resemble painted works. As I have come to discover, this is not by accident. Art trained as a painter - majoring in fine art in college - before he became a photographer. He planned to paint professionally with gallery representation before he discovered the immediacy of photography and switched to that medium for his professional career. However, he draws heavily on his background in painting to inform his photography. Naturally occurring textures, patterns, and lines remind him of works by artists like Manet, Monet, M.C. Escher, and even artists like Picasso and Keith Haring. When Art happens across such a scene and/or subject, this recognition is like a little red flag in his brain alerting him to a potential photographic image. A few years ago I had the chance to attend his full-day Art Of Composition seminar in Portland. While he did touch on lens choices and camera settings, the overwhelming content of the day was composition. What should you include? What should you exclude? How can you arrange the elements within the frame to create the strongest possible image? How can you design a shot? In short how can you become a better artist and produce more effective, evocative images. These kinds of questions formed the basis of the day's series of lectures. If you have the chance, I highly recommend attending The Art Of Composition seminar which he holds in various cities throughout the year. 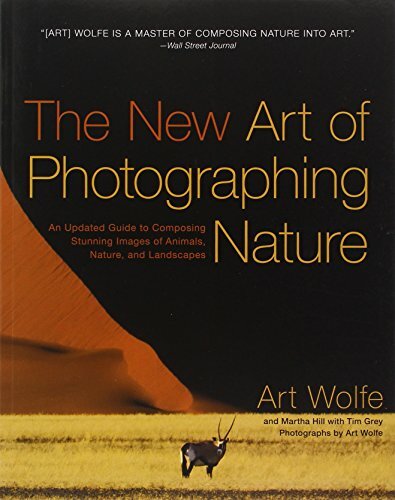 A slightly abbreviated version, called The Art of Nature Photography, can be purchased and viewed online. 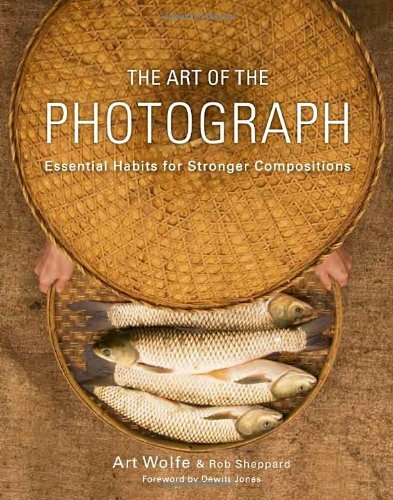 Two books, The Art of the Photograph and The New Art of Photographing Nature, serve as companion pieces to the seminars. I believe the arts are connected and any one artistic pursuit can (and will) inform and inspire another. Art Wolfe applies his background in painting to his photography. For myself, photography inspires architectural design. And vice versa. The idea is to recognize commonalities between seemingly distinct disciplines and then integrate them into a larger whole.